The concerns about cardiovascular health in India is soaring. WHO has predicted, if this rising trend is not curbed, then India will surpass all other countries in terms of the cardiovascular disease burden by 2020. 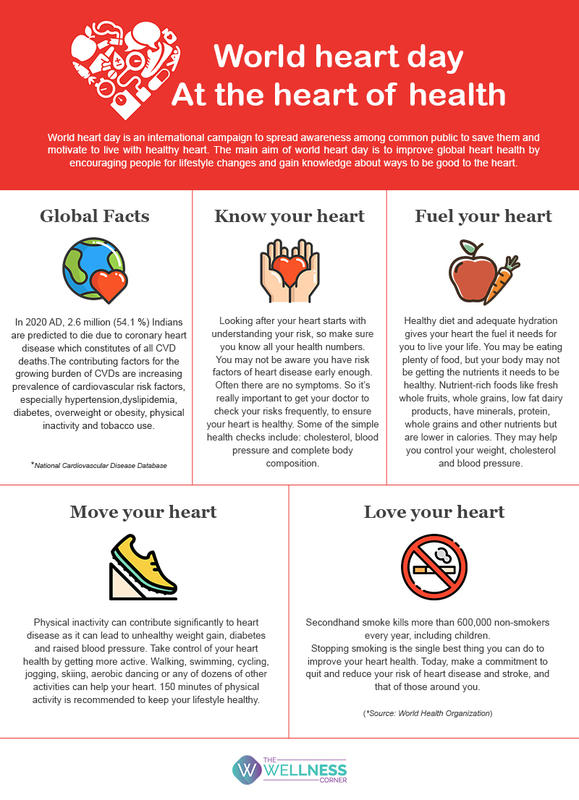 This world heart day, invest in your heart health for a productive, healthier and a happier life.